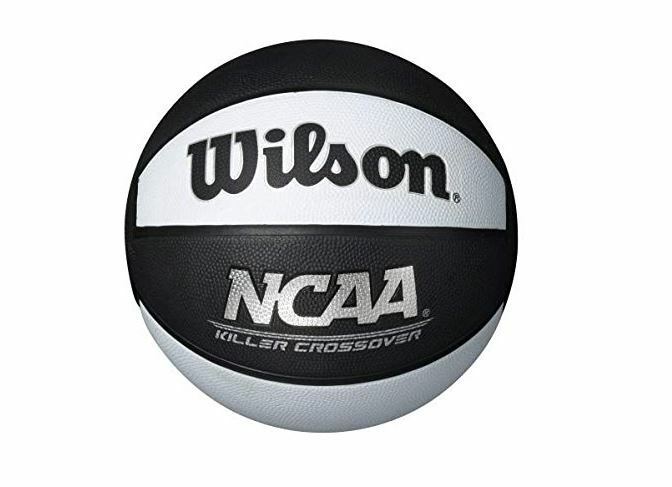 If you have an Amazon purchase to make today you may want to add-on this Wilson Killer Crossover Basketball on sale for $7.99 (Retail $19.97). On the playground, there is one rule you never break: winner stays. With pebbled channels for increased grip and control, and a pressure lock bladder to main optimal ball pressure, a Killer Crossover doesn't guarantee you'll get to stay, but it's a good start. Like a good crossover, the Killer Crossover ball, helps you change pace and direction. Or location. The sponge rubber cover works on any surface and the pebbled channels give you optimal grip in all game conditions. You can make it rain, rain or shine.